Many, many moons ago, I learned with shock about the election to the Dáil of somebody I knew well, and had long considered lacking in the knowledge and wisdom needed to help make the nation’s laws. Until recently I watched with recurring flashes of disbelief as Boris Johnson purported to stride the Brexit stage as the UK foreign minister. Periodically, I recalled the endearing “young fogey” of 20-plus years ago, who I had watched shamble about Brussels as a newspaper “common market correspondent”. Those two Boris images did not match. But hands up, we are also talking about two central tenets of democracy: a citizen is entitled to stand for office, and the citizens are empowered to choose. Sometimes, we have to recall those tenets and get over ourselves. This brings me to the presidential election which we will have in late October. 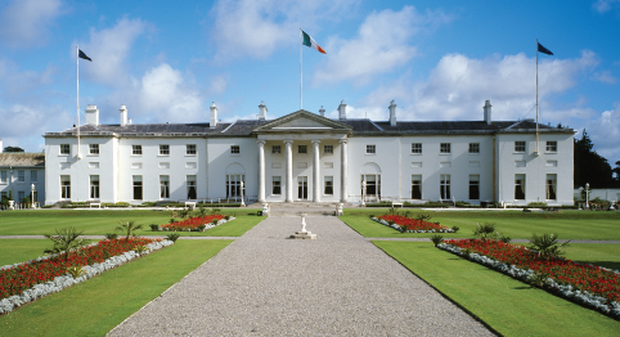 President Michael D Higgins is trying his luck for a second seven-year term. Sinn Féin is in the throes of deciding who its candidate will be. And it is odds-on there will be others, with some people already putting their names out there – and some of those have since taken their names back. But we remain in the “phoney war”, or “Lanigan’s Ball” phase, as would-be runners step in, only to step out again. In the last two days, three out of seven potential runners announced they will not, after all, be standing. On Tuesday, the barrister and political pundit Noel Whelan went on RTÉ radio and told Miriam O’Callaghan he will not, after all, be standing. Before that, late on Monday night, Liam O’Neill, a recent and successful president of the GAA, withdrew his name, six days after he had announced he may be standing. He is different from the other two, having headed a 32-county sporting movement and could have made a very interesting candidate. But at this point let me put all my cards on the table face up. I do not believe that either of the other two are presidential material. And I struggle to understand how they had the temerity to put themselves forward. I have known Gerard Craughwell since he entered Seanad Éireann as a surprise by-election winner in autumn 2014. He is a decent man and an interesting politician. We must acknowledge there may very well not have been an election without him. But his belated discovery that a campaign would cost €500,000 is a surprise. We have all known this horrific cost since last time out in autumn 2011. He has gone from being a little-known senator to the guy who shook up the cosy consensus and provoked an election. I know Noel Whelan a deal better, having first met him almost 20 years ago, and he has done me a favour or two. His commentary is often interesting. But all of that is a distance from justifying tenancy at the Áras. Again it is worth noting that the foray did not harm his profile.